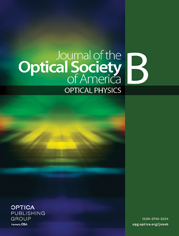 We revisit a homogeneously broadened ring laser that is driven by an external coherent signal. We identify new basins of attraction and calculate the dimensionality of the chaotic regions by using both the Kol’mogorov and Lyapunov formalisms. As a function of the driving-field amplitude, we see the dimensionality of the chaotic regions globally decrease in fractal dimension and locally decrease linearly immediately before the emergence of a periodic attractor. New evidence shows that this complex system is governed by only a few attractors; these attractors can coexist, govern independently, or compete for dominance in the chaotic regions. Arguments reveal that, at least for this system, the ideas of distinct chaotic attractors and windows of periodicity within chaos are misnomers and are misleading.